Sophomore guard/forward Jasmine Taylor (Central) put forth her best performance as a Red Wolf during ASU's 86-60 double-overtime loss at SMU Nov. 26. Taylor scored a career-high 15 points in the game, hitting 5-of-8 shots from the floor, including 3-of-5 from behind the three-point line. She also grabbed five rebounds and had two steals in 25 minutes of playing time against the Mustangs. Craigmont (36) -- Jalyn Burkett 5, Symone Cooper 2, Candice Davis 6, Maurissa Davis 5, Jemil Jefferson 10, Shatingra Jones 5, Kaitlyn McCoy 1, Sherrese Moore 1, Danielle Washington 1. White Station (64) -- Courtney Banks 2, Tya Johnson 7, Red Payne 9, Breanna Ridgell 20, Jasmine Settles 17, Durriya Shields 1, Ashley Small 6, Amber Williams 2. Records -- Craigmont 5-1, White Station 6-0. ESPN Hoopgurlz Mark Lewis evaluated the performance of several players from the 2nd Annual TN Turkey Jamm. Symone Daniels (2011), St. Benedict: The coaches of Drake University have to particularly excited about this 5-foot-10 wing/forward coming their way next year. Daniels is one of those rare seniors who continues to show great strides in her game and may just be scratching the surface of her potential. Leading her team to two wins in this year's Turkey Jamm, she demonstrated much improved ballhandling skills and an increased comfort level on the perimeter. While still listed as a forward on her team's roster and working effectively in the post at times, she also took the ball coast to coast on several occasions and got out on the break at every opportunity. Her perimeter shot is still out in front of her a bit and she'll need to get a little lower when handling the ball but her future is almost assuredly on the wing. Strong, athletic and active, Daniels is a solid presence on the defensive end and comes up with more than her share of rebounds. There are still some rough edges that need smoothed out but the best is yet to come. 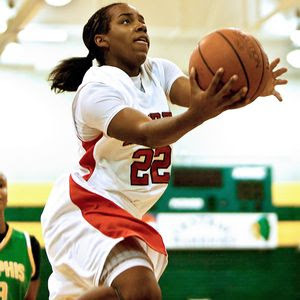 Cornellia Fondren (2012), Memphis Overton: Easily one of the most impressive performances in Memphis came from this 5-9 combo guard. Combining elite speed and quickness with sound skills makes her a challenge for opponents both offensively and defensively. Playing the point she was able to navigate and shred the highly regarded trapping full-court press of Potter's House creating multiple scoring opportunities. On the catch defenders have to respect a lengthy and ultra-quick first step and her ability to elevate on the pull up or floater is usually reserved for the college level. Her perimeter shot has a forward motion on it that will be a problem with more experienced defenders but getting that tight to her is a risk as well. Not many on-ball defenders are as aggressive and focused as her while her lateral speed allows her to turn ballhandlers almost at will. What may well be her defining quality is her relentless play. Fondren is a driven player who makes play after play and has a willingness to do whatever it takes to get the job done. That mentality combined with her physical skills makes her someone who can count on a very bright future. 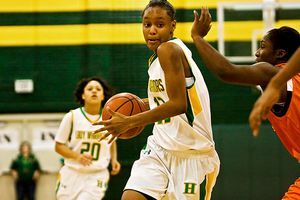 Nina Davis (2013), Memphis Central: One of the great things about identifying and watching talented young players from a young age is seeing the progress in their game. This 5-9 combo guard was impressive as a freshman is showing considerable maturity already as a sophomore. She's not ready to skip the rest of high school and move on to college but continued advancements at the same rate will have a long line of coaches looking for her services when the time comes. Physically she's stronger and there seems to be more confidence in her play. With the ball, both at the point and on the wing, she can slash and penetrate with an impressive crossover while creating both shots and passes. The spin moves and body control are there to get off some creative shots at times but occasionally the pass might be the better option. It's obvious that she's put in the time on the jumper but it's still a major work in progress and an essential need to make her a more complete player. Davis has the size and athleticism to be a strong on-ball defender and anticipates off the ball effectively. That line of recruiters has already formed but it will be up to her how many ultimately will be knocking on her door. Tennessee commit Ariel Massengale directed traffic for a No. 4 Bolingbrook (Ill.) team that lived up to its high Powerade Fab 50 ranking. While Thanksgiving feasts all around the country were served up last Thursday, another helping was dished out both Friday and Saturday as well in the second annual Tennessee Turkey Jamm. Participants included 14 teams from seven different states and featured six competitors from the Powerade Fab 50 high-school team rankings. Four ranked in the top 10 were on hand and of those only forth-ranked Bolingbrook left unscathed. Both days offered up some competitive games and some early season revelations about the strengths and weaknesses of some of the teams. Memphis Central: Entering the weekend ranked fourth, the Lady Warriors may well have had the two toughest games on the schedule. 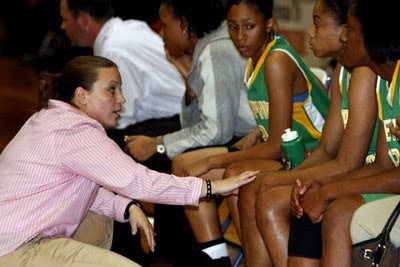 Coach Niki Bray's squad struggled in its opener Friday with Bolingbrook but recovered with an impressive win over perennial power Whitney Young Saturday evening. The maturity and confidence that has grown with her talented roster over the last two seasons wasn't apparent in the first game but after a slow start in their second outing they seemed to settle down and hit their stride. The underclass backcourt trio of Danielle Ballard, Aaliyah Whiteside and Nina Davis can offer as many scoring options in both the halfcourt and transition as you'll find anywhere. Friday's effort saw a little too much individual focus but Saturday's team effort should concern any opponent on the schedule. Forward Jalen O'Bannon offers good size and athleticism as well as the versatility to play both inside and out. Stepping onto the big stage and leaving their mark in the win over Whitney Young was a pair of freshman standouts, Tia Wooten and Jasmine Cincore. Both played with aggressive abandon and were the catalysts who helped Central overcome a slow start as well as provided them with a presence in the paint. Overton: Overton may be unranked and only come away with a split for the weekend, but the Wolverines played some impressive basketball. Their loss to Hoover was a competitive game and one that could have gone their way with some better decision making. They more than made up for it Saturday night with a dramatic win over sixth-ranked Potter's House. The Wolverines epitomized the word attack at both ends of the floor and showed a resilience and focus that allowed them to withstand their opponent as well as their own mistakes. Junior guard Cornellia Fondren may have had one of the more outstanding performances of the weekend. She's got some elements of Odyssey Sims on defense and a little Bryona Canty on offense. Her games at both ends are not quite on that level yet, but the athleticism and potential is there for something special to happen. One of the most deceiving players in the event was Overton post Cortrice Golden. Her play is aggressive and she finishes well around the hoop. She has the strength and hands to work well on the boards but will need to focus on her fitness to find out what level she can ultimately play on. Ridgeway: Ridgeway was able to come away with two wins in the event, including a solid win over a talented Forest Park team from Georgia. Hasina Muhammad is the senior go-to player for the Roadrunners and the Auburn signee continues to elevate her game, especially at the defensive end. Her ability to read the floor and the agility she has at 6-0 make a formidable stopper. Senior Shervonte Bright is a solid and physical-playing guard who can make plays on the perimeter and in traffic in the lane. Sophomore forward Odegua Oigbokie has taken great strides in advancing her skills and still plays with a relentless blue-collar effort. Freshman point guard Ashley Jackson demonstrated some speed and solid ballhandling at times but will have to make sure her decision making with the ball progresses as she matures. Ridgeway is effective with their press and demonstrates good anticipation off the ball. 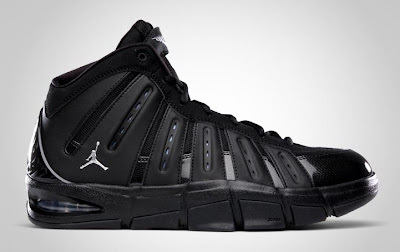 On the offensive end they seem more comfortable in transition than their halfcourt sets. Shot selection and turnovers were issues that could be a problem down the road. Memphis Central High girls basketball coach Niki Bray decided she would try something a little different during halftime of Saturday night’s game against Whitney Young of Chicago in the final game of the Turkey Jamm tournament at Central. Instead of holding her players in the locker room for nearly the entire eight-minute intermission, Bray cut straight to the point. It took all of 30 seconds. However, it was time well spent, considering her nationally-ranked Warriors made the necessary adjustments to rally from a 46-42 halftime deficit to grind out an 82-79 victory. All I can say is WOW. Demond "DJ" Hairston of Girl Powher Showcases knows how to put on a well ran national event. I'm personally happy to have an event of this status in my home town. 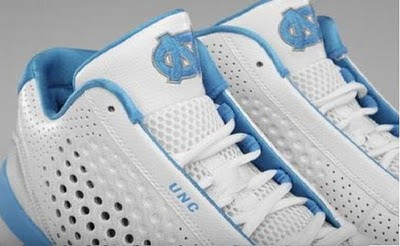 This event drew 6 nationally ranked teams which lead to over 30 college coaches and 2 girls basketball national media representatives, ESPN Hoopgurl's Mark Lewis, and Peach State Hoops, Brandon Clay. College coaches in attendance included Tennesee Tech, Louisville, Rice, Arkansas-Little Rock, Southen Miss, Syracuse, Georgia State, Mississippi State, Boston College, Clemson, Southern Illinois, Air Force, Dayton, Missouri State, Pittsburgh, St, Louis, St. Johns, Nebraska, and Middle Tennessee State. I read and hear about the Bolingbrook, Whitney Young, Potter House teams but to be able to personally witness them was a treat. I was not disappointed. If you don't know about the caliber of players that represent these teams let me break it down for you. I can't forget my Memphis teams..
Ridgeway went undefeated in the event for the second year in a row. Defeating Forest Park 61 - 56 and Oldsmar Academy 50-49. St. Benedict also went undefeated. They beat H. W. Byers 56-41 and West Memphis 47 - 40. Symone Daniels, who is heading to Drake next year, may be the most improved player in the city. She has always been a high energy aggressive post player. But now we need to add that she is a high energy aggressive guard. Last year, it was known that she will get the rebound and travel the length of the floor for a layup. Now she is handling the ball the length of the floor and dishing it to the open wing. And her left hand is legit. I witnessed her time and time and time again go in for left handed layups aggressively and with confidence as if it was her natural strong hand. Overton went 1-1. Losing to #20 Hoover 66-55 and rebounding to defeat Potters House 56-53. Overton had lost to #6 Potters House last year in this event. Overton is known for their aggressive in your face man-to-man defense but on Day 2 of the TN Turkey Jamm it was their zone defense that contained Potter House. Overton leaders, Cornelia Fondren and Jasmine Stafford, got into foul trouble with Cornelia fouling out in the 4th. However, Overton did not crumble. It was team effort that allowed them to beat the # 6 nationally ranked team. #5 Central also went 1-1. Central looked very uncharacteristic on day 1 losing to #4 Bolingbrook 65-45. However on Day 2 the #5 ranked team came to play defeating #9 Whitney Young 82-79. The beginning of the game looked as if the quickness and aggressiveness of Whitney Young was too much for the Warriors. But this squad of national players, Danielle Ballard, Aaliyah Whiteside and Nina Davis, along with a talented group of freshman, responded for the win. You know when an event is growing when not 1 but 2 national girls basketball media representatives is in the building. Mark Lewis of ESPN Hoopgurlz and Brandon Clay of Peach State Hoops traveled to Memphis to witness the national talent. When Steve Cole and his Forest Park-Ga. players boarded a charter bus Friday at approximately 6 a.m. and made the six-hour trip to Memphis for the Tennessee Turkey Jamm tournament, Cole admittedly did not know much about his opponent — Ridgeway. For a while, particularly during the opening 4:15 of the fourth period, Georgia’s No. 2-ranked team in Class 4A appeared destined to send the Lady Roadrunners to their first setback of the season after using a 6-0 run to build its largest lead of the game at eight points. On the flip side, that seemed to be just the adversity Ridgeway would need to produce the game’s turning point. The Lady Warriors will keep their bags packed for most of the early season as they take on one of most daunting schedules in the nation. It's a lineup of games that coach Niki Bray hopes will have her team ready come playoff time. "We're going to play nine of the top teams in the nation," she said. "We could very well be embarrassed if we don't come to play. How cool is it for LeBron James to break down some of his signature moves. In this video, LeBron demonstrates his between the legs hesitation move. 6:30 p.m. -- Stevenson-Ga. boys vs. Percy Julian-Ill.
11 a.m. -- Southwind girls vs. Stevenson-Ga.
12:30 p.m. -- Princeton Day Academy boys vs. MLK-Ga.
3:30 p.m. -- Mitchell boys vs. Stevenson-Ga.
6:30 p.m. -- MLK-Ga. boys vs. Percy Julian-Ill.
Make sure to visit MemphisGirlsBasketball.com for updating information on the TN Turkey Jamm event on Friday and Saturday. It is officially the holiday season!!! 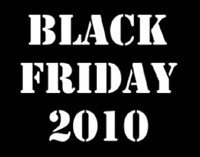 That means spending time with family, attending basketball tournaments and SHOPPING!!! Sometime in the second quarter Robert Newman was back on his feet, barking his displeasure at his players’ mistakes, even pointing a finger or waving an arm like he used to do at more frequent intervals. In short, Melrose’s legendary girls basketball coach was happy – and so were his players, who responded with a 67-38 rout of visiting Hillcrest in the Martin Luther King Jr. Invitational Tournament Tuesday night. “This is right,” said center Kyeshia Vinson, who scored 16 of her 22 points in the first half to help the Golden Wildcats to a 45-24 lead. 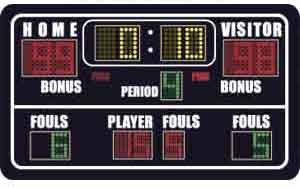 That still rated her a couple of lashes of the tongue after the game for lack of hustle after Newman’s first full game on the bench in this, his 35th season as the Golden Wildcats’ coach. Craigmont at Fairley, 1 p.m.
Kirby at Millington, 3:30 p.m.
Hamilton at White Station, 4 p.m.
Hillcrest at Melrose, 6 p.m.
As far as I know Central is the only girls team in Memphis representing Under Armour. 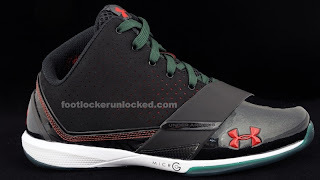 Will Under Armour become as big as Nike or Adidas? Jasmine Robinson (Overton) was named the Southeastern Conference Freshman of the Week for women's basketball on Nov. 22, the league announced Monday. Robinson becomes the 11th Crimson Tide player in program history to earn weekly honors and second this season as senior Tierney Jenkins collected Player of the Week accolades on Nov. 15. 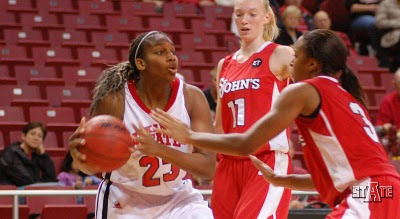 Robinson had her breakout game against North Carolina State on Nov. 17, scoring 19 points while adding five rebounds, one assist and one steal in 20 minutes of play. One of the highlights of her performance against the Wolfpack was hitting a three-pointer, despite being fouled, and completing the four-point play with a successful free throw. In Friday's win at Georgia Southern, the Memphis, Tenn. native posted a game-high 16 points in addition to five rebounds, one assist and one steal off the bench. She was clutch at the free throw line hitting six of her seven attempts. 1 p.m. -- Frayser at Fairley, Carver at Central, Kirby at Craigmont, Wooddale at East. 2 p.m. -- Nashville MLK at Manassas, Nashville Pearl-Cohn at Hamilton. 6 p.m. -- Kingsbury at White Station, Whitehaven at Trezevant. 1 p.m. -- Carver at Kirby, East at Whitehaven, Kingsbury at Melrose, Sheffield at Hillcrest. 2:30 p.m. -- Trezevant at Fairley. 3:15 p.m. -- Nashville Pearl-Cohn at Hamilton, Wooddale at Manassas. 6 p.m. -- Craigmont at Mitchell. The Houston High Hall of Fame games featured Bartlett, Bolton, Central, Collierville, Houston, and Millington. Game 1 was Bartlett vs Collierville. Collierville had a nice size lead when I arrived. Then Bartlett picked up their intensity behind their guard play. 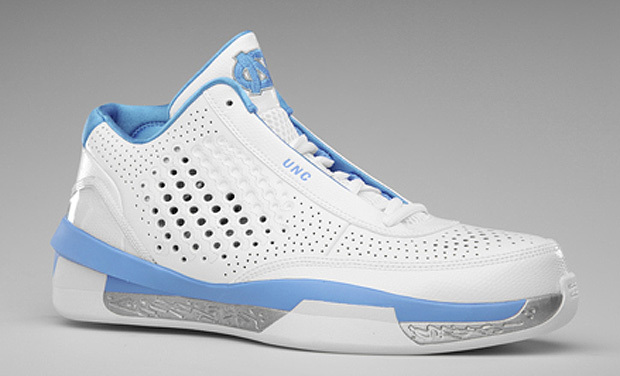 Dropping off 3s, getting steals and converting. Bartlett pulled it off 36-33. Collierville (33) -- Danielle Adams 10, Lindsey Allen 2, Kathryn Allen 2, Danielle Brewer 5, Monica Brown 4, Lindsey Little 4, Jessica Lopez 2, Sarah Sizemore 2, Sarah Smith 2. Bartlett (36) -- Shaequa Foster 5, Kelly Howard 10, Rachell Hughes 4, Bridget Hutchison 3, Brittney King 7, Shondria Scruggs 7. Records -- Collierville 0-1, Bartlett 1-0. Game 2 was Houston vs Bolton. I got to tell you. I love watching the Winston sisters, Alexandria and Ashley. They play so well together. They are intense, aggressive, athletic, can get to the rack, shoot the 3 and CAN PLAY SOME PERIMETER DEFENSE. Bolton won but I think I found the next super star, freshman PG Aysha Harris from Houston. She's young and raw but she got it. She came off the bench and lead this team. She showed no fear. Left hand, right hand, nice height, can take contact. But her biggest quality---Leadership. She was encouraging players, directing players and VOCALLY. Did i mention she is a freshman? WOW! Bolton (48) -- Rachel Blevins 6, Kayla Bolden 3, Abriona Hall 2, Megan Morris 4, Daja Williams 3, Ashley Winston 12, Alexanderia Winston 18. Houston (41) -- Ashley Brown 3, Shelby Glass 3, Aysha Harris 13, Dominique Malone 4, Alise Parker 5, Julianne Shiles 2, Morgan Smith 1, DeAnna Wallace 10. Alan Stein gives us a look into a pre-practice warm up at Nike Elite DeMatha Catholic High School. It involves multi-planer skips, jumps, and reaches as well as dynamic flexibility. The entire routine takes exactly 10 minutes. Jasmine Cincore, one of two touted freshman inside players, racked up 15 points and an outstanding player award in her debut as the Central girls pummeled the BTW girls, 60-15, in their 20-minute scrimmage. “The speed of the game is something I’m still getting used to, but there’s a lot of support on this team,” said Cincore, who must hold down the inside along with veterans Jalen O’Bannon and Darianne Butler, and fellow rookie Tia Wooten for Central to stay a national and state power. 4. Bolingbrook (Bolingbrook, Ill): Moore (Anaya), Moore (Nia), more (guard Kiera Ray) -- how daya like it? Andre True's disco anthem may be a little out of step in these times, but Bolingbrook, already the defending Illinois state champs, certainly are not. Their base is titanium strong with returnees Aerial Massengale, the Tennessee-bound point guard extraordinaire, and Morgan Tuck, the No. 12 prospect in 2012. So the new additions give them a shot at No. 1. 5. Memphis Central (Memphis, Tenn.): The Warriors have some "wow" talent in guard Danielle Ballard, the No. 10 prospect in 2012; Aaliyah Whiteside, No. 35 and on the move in the same class, and Nina Davis, a top, 6-1 point guard from 2013. That goes with a "wow" schedule, however. If they can get through the rest of 2010 -- Turkey Jamm at home, Iolani Classic in Hawaii and TOC -- with just a loss or two, they could close hard. 6. Potter's House Christian (Jacksonville, Fla.): Add the inside emergence of Hillary Fuller, No. 28 in the 2012 class, to the perimeter riches, including Antoinette Bannister, Loliya Briggs, Brittany Roundtree and Shalethia Stringfield, and you have one of the game's greatest traveling shows. Unfortunately, the Lions pile up so much mileage in their recreational vehicle, they inevitably blow a tire here and there, thus sabotaging any national championship aspirations. 9. Whitney Young (Chicago, Ill.): With the likes of Linnae Harper, Chanise Jenkins (No. 64 in the 2011 class) and Kiana Johnson (No. 55), the Dolphins have been more like a swarm of bees, buzzing around on defense and turning pressure into easy baskets. But now that swift backcourt has some support upfront, making Whitney Young an even more serious contender on the national. New Head Coach Sarah Condra is off to a good start. She's undefeated so far as a coach. The Christian Brothers University Lady Bucs used a 13-2 run early in the second half to take control, and they never trailed again in a 74-62 win at Lane Wednesday night. The host Dragons (0-1) took a 30-25 lead on a Natasha Farr layup to open the second half, but the Lady Bucs (3-0) answered with a Normanique Johnson (Olive Branch, Miss./Olive Branch HS) layup, six free throws, a Jessica Green (Memphis, Tenn./Lausanne HS) three-pointer, and a Caitlin House (Memphis, Tenn./Briarcrest Christian HS) layup to take a 38-32 lead with 15:36 remaining. Lane never came closer than three points again. FCA Nighthawks (43) -- Jennifer Milewski 9, Grace Wade 6, Kristen Milewski 16, Anna Matheny 2, Lauren Hoyle 7, Samantha Price 3. Fayette Aca. (52) -- Samantha Reeves 22, Emily Reeves 16, Carley Tapp 4, Victoria Crawford 6, Sierra Gould 2, Gracie Cocke 2. Records -- FCA Nighthawks 2-3, Fayette Aca. 1-0. Guard Danielle Ballard, No. 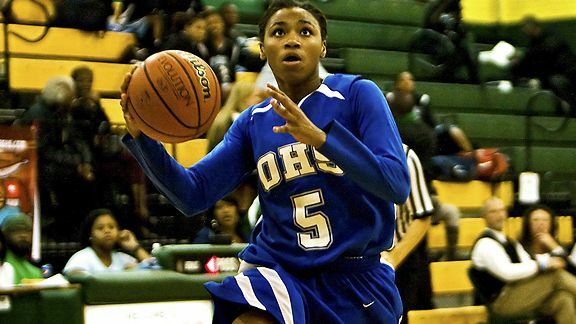 10 in the ESPNU HoopGurlz 60 for the 2012 class, is one of a trio of stars for Memphis Central. Maya Moore missed, and suddenly Connecticut's grip on women's college basketball was in jeopardy. Baylor had one more shot to topple the No. 1 Huskies and end their record winning streak. But the No. 2 Lady Bears simply ran out of time, their last try a little too short and a little too late. Coach Geno Auriemma and UConn rallied from a late eight-point deficit and held on for their 80th straight victory, 65-64 on Tuesday night -- by far the toughest test since the streak started exactly two years ago. Hernando (37) -- India Overstreet 13, Erica Wallace 11, Keundra Dockery 5, Kayla Clark 4, Lucy Bierman 4. Center Hill (58) -- Brandie Carter 3, Erin Cross 6, Zanoria Echols 24, Jasmine Golden 14, Kiara Golden 4, Sharnice Street 3, Ciera White 4. Records -- Center Hill 3-1. The Air Jordan 2010 Team is currently being worn by NBA players including Ray Allen, Quentin Richardson, Kevin Martin and others. 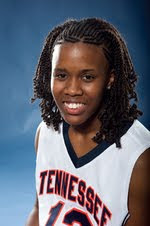 Freshman Jasmine Newsome (Millington) hit a 3-pointer with 5:11 to play in the first half of Friday night's season opener for The University of Tennessee at Martin at Southern Illinois University Carbondale to give the Skyhawks a 17-13 lead and the momentum for good. Newsome, from Millington, led all scorers with 24 points and led the Skyhawks to a 62-50 victory, their first season-opening victory since 2007 and their first win over SIU Carbondale since 1982. 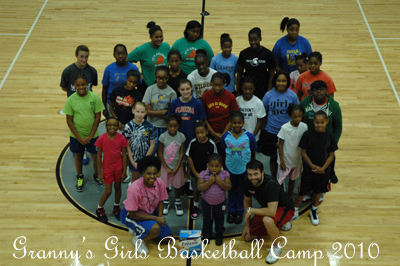 On Saturday, November 13th, over thirty girls participated in the 3rd Annual Granny’s Girls Basketball Camp. Former University of Memphis Lady Tiger, Patosha Jeffery, started the camp in 2008 to honor her grandmother, Mattie Mae Woods, who passed from lung cancer on February 6, 2008. This year’s camp generated over 400 individual bottles of Ensure nutrition shakes. The camp included speed and agility skill sessions directed by Rob Weatherly of Velocity Sports Performance and basketball fundamental skill sessions by Patosha Jeffery. Ridgeway Baptist Church provided their Christian Life Center for no charge to support the cause.